2LT!! 53 MILE BATTERY RANGE!! 8 INCH COLOR TOUCH SCREEN!! HEATED LEATHER SEATING!! POWER CONVENIENCE PACKAGE!! 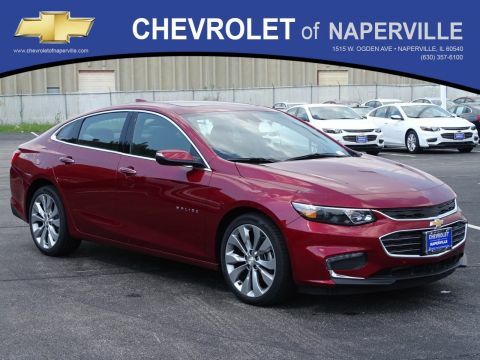 2019 CHEVROLET VOLT 2LT, CAJUN RED TINTCOAT ON JET BLACK HEATED LEATHER SEATING, 53 MILES ON FULL CHARGE!! 1.5L 4-CYL ENGINE, 420 MILES TOTAL WITH CHARGE AND GAS ENGINE!! LETS GO OVER THE OPTIONS ON THIS VOLT WHERE YOU WAVE GOODBYE TO THE PUMPS!! POWER CONVENIENCE PACKAGE INCLUDES: HEATED LEATHER WRAPPED STEERING WHEEL, HEATED LEATHER SEATING, LEATHER TRIMMED SHIFT KNOB, POWER HEATED OUTSIDE MIRROR, DRIVER SEAT 6-WAY POWER WITH LUMBAR SUPPORT….8 INCH COLOR TOUCHSCREEN DISPLAY WITH APPLE CARPLAY TECHNOLOGY, CHARGE CORD SET, 17 INCH 5-SPOKE PAINTED ALUMINUM WHEELS, REAR VISION CAMERA, 4G LTE WI-FI HOTSPOT, BOSE PREMIUM 8 SPEAKER PREMIUM AUDIO SYSTEM… LADIES AND GENTS THIS VOLT IS ALL LOADED UP AND LOOKING FOR A FAMILY TO LIVE GREEN WITH!! NOW…HOW ABOUT SOME WARRANTY….YOU GET A FULL 36 MONTH OR 36,000 MILE BUMPER TO BUMPER COVERAGE, PLUS A 5 YEAR OR 60,000 MILE POWERTRAIN COVERAGE, PLUS PLUS 8 YEARS OR 100,000 MILES ON THE VOLTEC COMPONENT WARRANTY….PEACE OF MIND DRIVING….ALL ABOARD!! 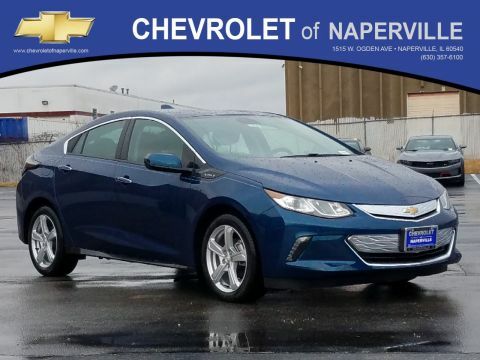 ONLY THING LEFT FOR YOU TO DO IS COME ON DOWN AND TAKE THIS LOADED UP VOLT FOR A SPIN AROUND OUR WORLD FAMOUS CHEVROLET OF NAPERVILLE TEST TRACK!! FIRST ONE HERE WINS ON THIS ELECTRIC VEHICLE!! 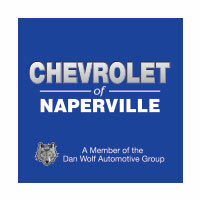 SEE YA SOON….FIND NEW ROADS HERE AT CHEVROLET OF NAPERVILLE!! 2LT!! 53 MILE BATTERY RANGE!! 8 INCH COLOR TOUCH SCREEN!! HEATED LEATHER SEATING!! POWER CONVENIENCE PACKAGE!! 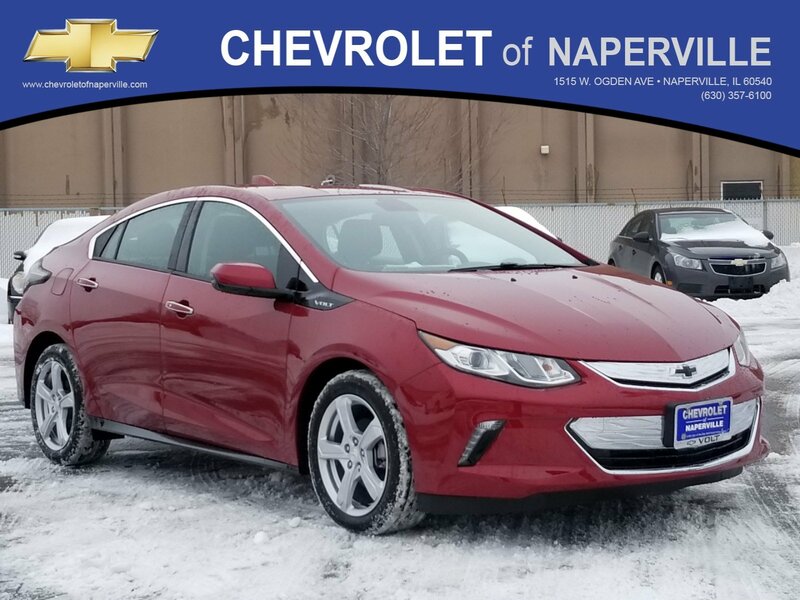 2019 CHEVROLET VOLT 2LT, CAJUN RED TINTCOAT ON JET BLACK HEATED LEATHER SEATING, 53 MILES ON FULL CHARGE!! 1.5L 4-CYL ENGINE, 420 MILES TOTAL WITH CHARGE AND GAS ENGINE!! LETS GO OVER THE OPTIONS ON THIS VOLT WHERE YOU WAVE GOODBYE TO THE PUMPS!! POWER CONVENIENCE PACKAGE INCLUDES: HEATED LEATHER WRAPPED STEERING WHEEL, HEATED LEATHER SEATING, LEATHER TRIMMED SHIFT KNOB, POWER HEATED OUTSIDE MIRROR, DRIVER SEAT 6-WAY POWER WITH LUMBAR SUPPORT....8 INCH COLOR TOUCHSCREEN DISPLAY WITH APPLE CARPLAY TECHNOLOGY, CHARGE CORD SET, 17 INCH 5-SPOKE PAINTED ALUMINUM WHEELS, REAR VISION CAMERA, 4G LTE WI-FI HOTSPOT, BOSE PREMIUM 8 SPEAKER PREMIUM AUDIO SYSTEM... LADIES AND GENTS THIS VOLT IS ALL LOADED UP AND LOOKING FOR A FAMILY TO LIVE GREEN WITH!! NOW...HOW ABOUT SOME WARRANTY....YOU GET A FULL 36 MONTH OR 36,000 MILE BUMPER TO BUMPER COVERAGE, PLUS A 5 YEAR OR 60,000 MILE POWERTRAIN COVERAGE, PLUS PLUS 8 YEARS OR 100,000 MILES ON THE VOLTEC COMPONENT WARRANTY....PEACE OF MIND DRIVING....ALL ABOARD!! ONLY THING LEFT FOR YOU TO DO IS COME ON DOWN AND TAKE THIS LOADED UP VOLT FOR A SPIN AROUND OUR WORLD FAMOUS CHEVROLET OF NAPERVILLE TEST TRACK!! FIRST ONE HERE WINS ON THIS ELECTRIC VEHICLE!! 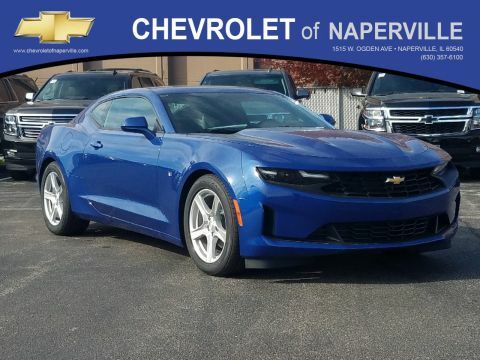 SEE YA SOON....FIND NEW ROADS HERE AT CHEVROLET OF NAPERVILLE! !